Find out how much you should be drinking and how you can do it! Most of us walk around in some state of dehydration every day, and it’s one of the main causes of low energy, headaches, dull complexion, and poor elimination. We all know that we should be drinking more water. Hydration is key to life and health, right down to keeping the cartilage in your joints soft and ‘cushiony.’ Drinking plain old water is a simple act that will help you function at top notch, lose weight, improve your sleep, gain energy, reduce cravings, and sport glowing skin. But how much do you really need to drink? And what if you’re just not in the habit? Take your body weight in pounds, divide by two, and that’s the number of ounces of water you should drink per day. You will want to bump up that amount when you exercise, when it’s hot and humid, and when you’re sick in order to stay optimally hydrated. How to drink all that water? Taper up slowly. 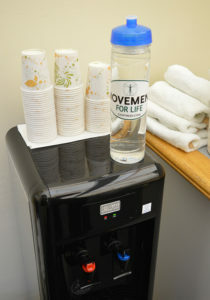 Don’t go from zero to two liters in one day; develop your new healthy habit over time. Drink it down slowly. Sipping=absorbing; gulping=flushing. Drinking too much too fast will simply send you dashing to the restroom. Find what works for you, and stick with it. There are as many ways to drink your water as there are containers to drink it from. Ask around, and shop around. 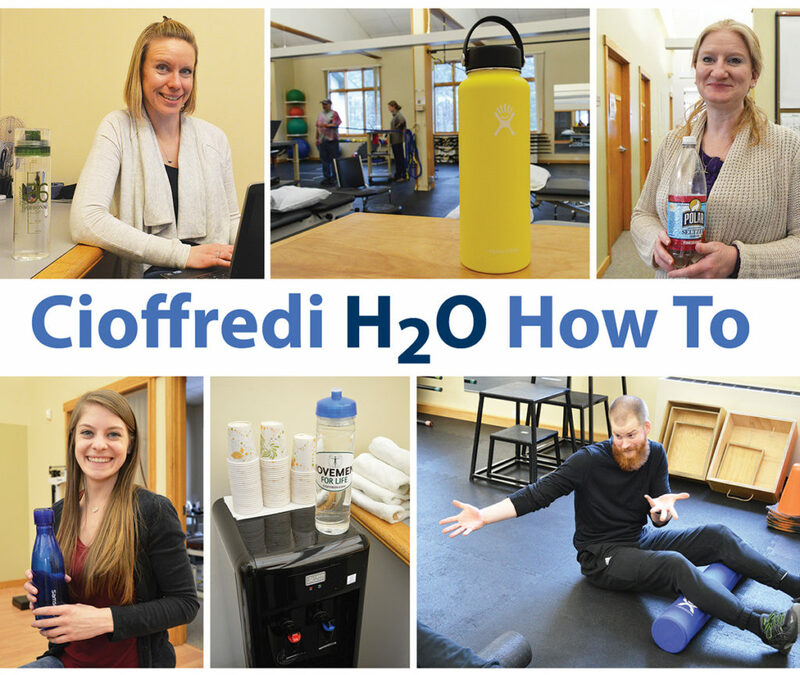 Successful hydration is different for everyone, and so we asked members of the Cioffredi staff for their strategies. “As soon as my bottle is empty, I fill it back up.” – Anna R.
For more health and movement tips, tricks, and information, visit cioffredi.com!